A city is people, and so is a church. We are a people bound together by the blood of Jesus Christ. We are also a people "in process." That means none of us has arrived. Whether you're on a journey to discover the truth or have come to know the truth as it is in Jesus, we welcome you to dive deeper into our Church community! 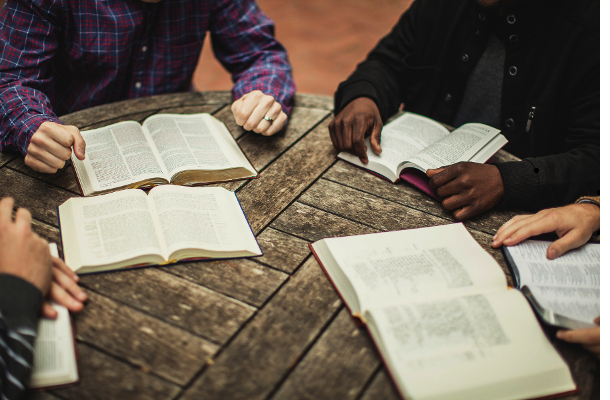 Growth Groups are Bible studies designed to help people in groups connect God’s Word to their lives in an intentional way. They are an integral part of our life together. We have these twice a year and we meet on Wednesday nights at the church. in the past we have done a study on Proverbs, Galatians, The Gospel-Centered Life, Obadiah and Malachi, The Blueprint, and we will be continuing The Romans Road - a bible study through Romans 5-7.